"In 1991 an artist in Compton picked up Cypress Hill's debut album. What he heard blew him away. A futuristic funk, mixed with a die hard dedication to a certain herb. This is the story of Cypress Hill..."
That's the intro to the album, right before the beat drops from their single "It Ain't Nuthin"... 19 Years after their debut album, the same can still be said for Cypress Hill's new album, Rise Up. It's been 6 years since their last album, Till Death Do Us Part, but they've picked up right where they left off. 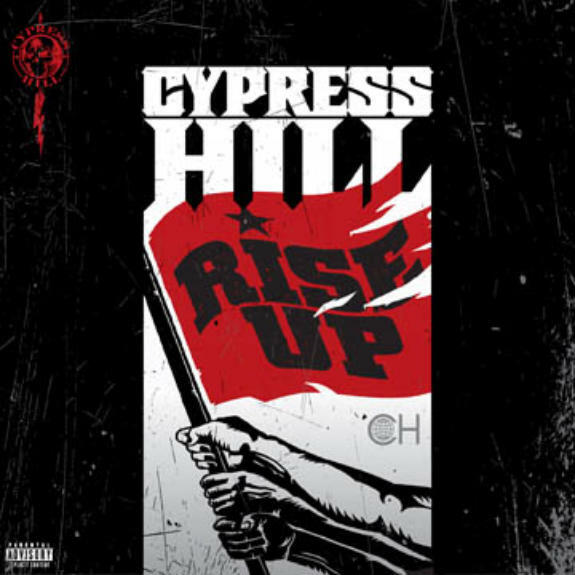 Cypress Hill emcee B-Real said that for this album they wanted a more aggressive sound with more dynamics and to be more uptemo. He said "in terms of the live setting, whenever we do songs that are more uptempo and aggressive people do love them and it makes for a great show. So, while making this album, we definitely had the intention of making songs that would translate well to the live aspect of what Cypress Hill is about". They've managed to achieve their goal quite successfully with the help of a diverse collection of guests such as Mike Shinoda of Linkin Park, Daron Malakian of System of a Down, Pitbull, Everlast, Evidence of Dilated Peoples, and Tom Morello of Rage Against the Machine and Audioslave. Listening to this album can really pick you up, pump you up and get you enjoying your day. Even though a pick you up, pump you up type of album doesn't really sound like the most ideal LP to smoke weed to but as per Cypress Hill's previous albums, half of their material is "herb" related and I can definitely see pot heads getting down to it... and getting high. I would probably rate this album as my favourite of all they've released and it has also received favourable reviews amongst many other critics. It has a bit of a mainstream sound that appeals to a wider audience but they haven't forgotten their rap history and have incorporated the rock sound really well. This is an album I will be recommending not just to my friends that are into hip-hop but also to those that are not. Whatever group you belong to, I think you should check this out. Check out "It Ain't Nothin"